Exact release situation remains unclear. "Our partnership with Microsoft on Rise of the Tomb Raider does have a duration, but we aren’t discussing those details at this time and are focused on collaborating to deliver a great game on Xbox One and Xbox 360." Microsoft has confirmed that it will publish next year's Rise of the Tomb Raider. "Similar to how we worked with Capcom on Dead Rising 3 or Harmonix on Dance Central, we're very excited to partner with the amazing team at Crystal Dynamics to bring Rise of the Tomb Raider in holiday 2015, exclusively to Xbox,” a Microsoft representative told Eurogamer. "Both our team and the Xbox community are huge fans of the franchise and we can't wait to share more on the game in the future." "Yes, Microsoft will be publishing Rise of the Tomb Raider on Xbox. Microsoft has always seen huge potential in Tomb Raider and they will get behind this game with more support across development, marketing and retail than ever before, which we believe will be a step in continuing to build the Tomb Raider franchise as one of the biggest in gaming." In August, Xbox boss Phil Spencer said the Tomb Raider Xbox exclusivity “has a duration”. He later admitted Microsoft nabbed the rights to the game to battle PlayStation 4 exclusive Uncharted 4. “This is one that clearly fit in our portfolio really well,” he said. 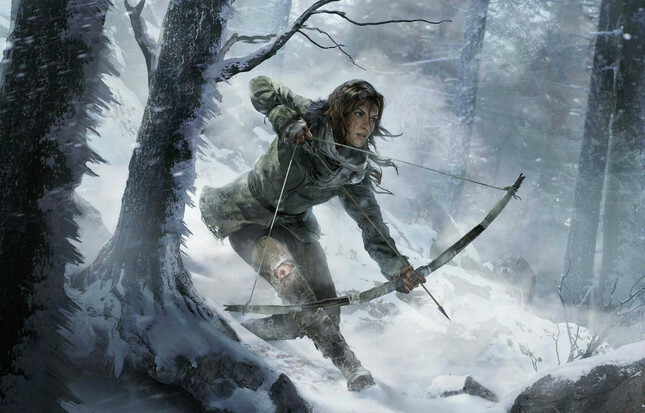 Rise of the Tomb Raider is slated for a Christmas 2015 release on Xbox 360 and Xbox One.